144/220/430 MHz TRIBANDER. 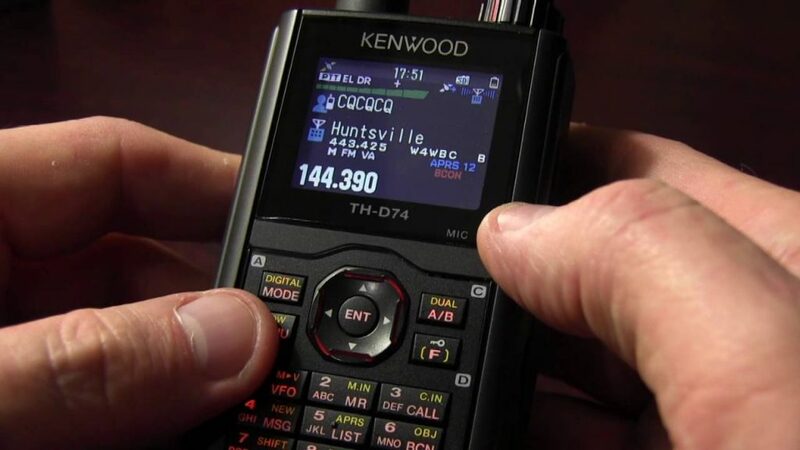 Triband Amateur radio packed with convenient features and the advantage of a digital transceiver with D-STAR, and APRS support. Featuring a color transflective TFT display that offers excellent visibility during the day or at night. Built-in GPS and Bluetooth support, as well as Micro USB and microSD/ SDHC. This radio is ready to harness the exciting developments in radio communications. 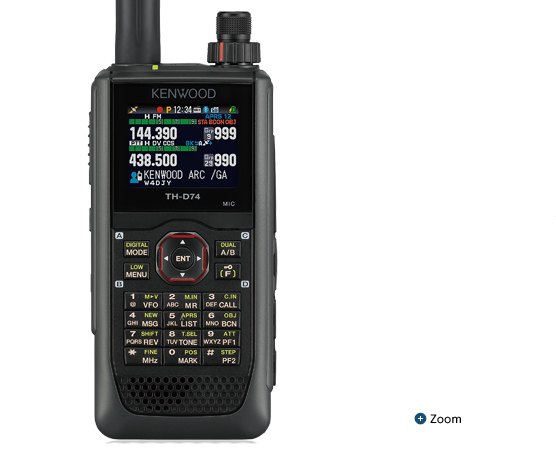 – Compatible with the APRS communication protocol, for real-time two-way data transmission using packet communications. 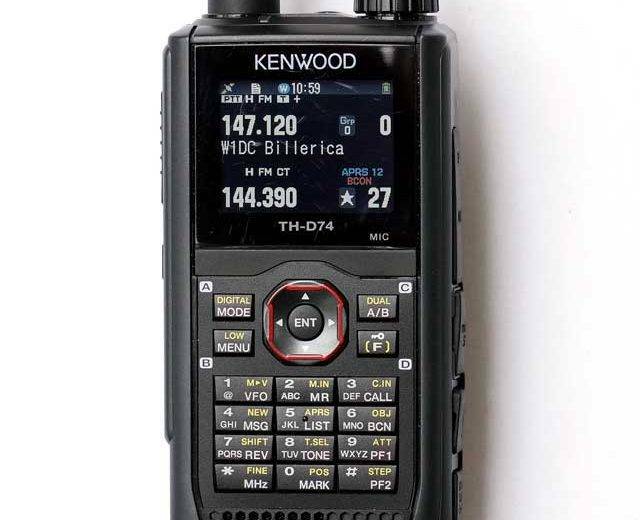 This stand-alone device enables the enjoyment of communications through a variety of features, including sharing of local and GPS positional information, and message exchange. – Compatible with D-STAR, the amateur radio communications network that has voice mode and data mode. Both local and international communications are possible through diverse operations including simplex communications, single repeater relay communications, and inter-repeater gateway communications.